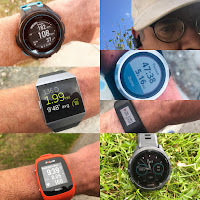 Road Trail Run: ON Running The Cloud Review: Versatile and Unique in Many Ways. ON Running The Cloud Review: Versatile and Unique in Many Ways. 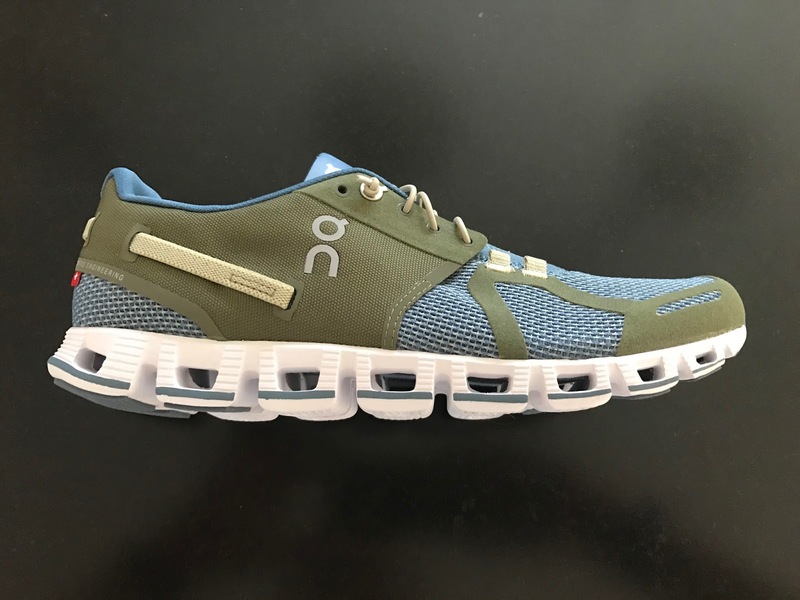 ON The Cloud is the first ON Running shoe I have really enjoyed, having tested the CloudFlyer, CloudSurfer, and CloudVenture. Bottom line the whole package of ON's unique CloudTec cushion elements and Speedboard stabilizing plate comes alive in The Cloud providing a fluid directed experience with adequate if firm cushion and great road feel. What did they change? made the shoe far more flexible, less reliant on what I found an awkward rocker but at the same time kept it torsionally rigid and definitely now more energetic and smooth transitioning. Swiss Engineered from top to bottom, ON always has spectacular uppers with great fit, impeccable consturction and unique style. The Cloud I received has a denim mesh and olive canvas look upper, totally functional as a fast pace run upper but also as a snazzy lifestyle shoe. With an elastic bungie cord lace (optional normal laces are also included) they are easy to put on and take off (Tri fans also take note) and have very even pressure over the foot even when snugged making them comfortable for all uses, from run to leisure. The upper is made of a soft dense mesh with suede like overlays at the toe box and a canvas like saddle at the rear of the shoe. They fit me perfectly at true to size. There is plenty of accommodating yet well supported toe box room for even somewhat wide feet. 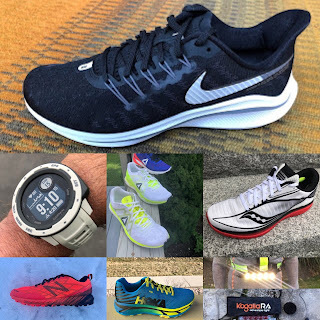 The fit is certainly not race flat snug but a combination of a well held mid and rear of the shoe with a roomy unstructured front of the shoe. The look clearly can cross over to lifestyle uses and for me this is part of the beauty of The Cloud. The Cloud has an unusual single cord bungie lace up and the last lace loops are not intended to be used with bungie, it's too short anyway for that. My first run I just pulled on the bungie from either end. The fit was to loose for my taste. I then figured out that if I should put a second knot in the bungie to snug things down. Using this approach I had a superb fit over the top of the foot with no pressure anywhere and a great foot hold. The fact that the front lace loops aren't used and really can't as the bungie is to short made no big difference but should be an option for a touch better forefoot hold or left unused for wider or higher volume feet. I was still able to slip the shoes on or off without loosening. Neat! I worry a bit about how long the bungie cord and its stretch will last but so far so good. The saddle and rear of the foot are very well held as well. It is unclear if the stretchy canvas look tan straps are functional or not but I am not complaining, they add to the boat shoe look of the shoe! The tongue is thin and soft with minimal padding and works very well with the bungie laces. The Cloud was also supplied with conventional laces. They were incredibly long even lacing through all available holes, creating an awkward mess and quite frankly not nearly as smooth and secure a foot hold as the bungie cord. There was a lot to show and tell about the upper and below that there is much more. The most obvious ON key technologies are their CloudTec elements a series of hollowed out wide pods which deflect independently under pressure and then are supposed return energy through the stride. Quite frankly in the other ON shoes I have tested I could have taken or left this approach. For example the Surfer the last heel pod was inbound of the heel leading to awkward landings, they were stiff and for me hard to transition due to their rocker. Further all their advantages were muted by the thick firm midsole and then Speedboard. The Cloud slims all this down effectively completely changing the run personality of the shoe. 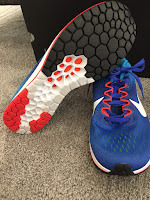 The Speedboard is a firm full length flexible plate which sits directly under the foot, the blue seen down the center of the shoe in the photo above and below. 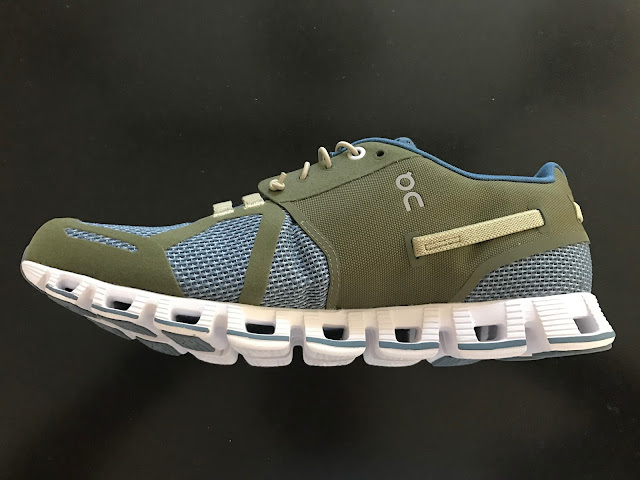 ON's motto is "Land Soft, Push Off Hard" and in The Cloud this is exactly what it feels like although the Soft part, the CloudTec elements, are not initially soft per say as first your foot lands on the Speedboard and the actual midsole material is quite firm. The Speedboard also provides a good stabilizing effect. Even with the soft unstructured front of the upper I never felt sloppy or unstable with a purposeful transition to toe off and a very smooth supported one. I think the overall feel would be improved with a layer of EVA or better yet bouncy TPU between the sock liner and that firm Speedboard. The outsole itself is a series of hard rubber patches in key places. Wear to date has been excellent, no wear after 30 or so miles. The heavier Freedom ISO has a softer bouncier ride given its TPU midsole. With almost no structure to the upper, lower 4mm drop vs. 9mm for the Cloud and no Speedboard stabilizing the Freedom is a more natural feeling ride, harder to tame and less directed. 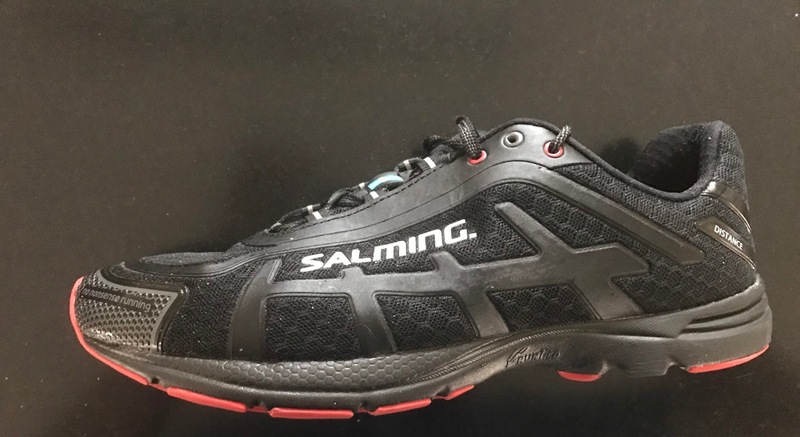 The Salming Distance D4 at about the same weight also has a directed ride through its mid foot torsion system, is stiffer with a more pronounced toe spring and is somewhat more cushioned in the heel than the Cloud. 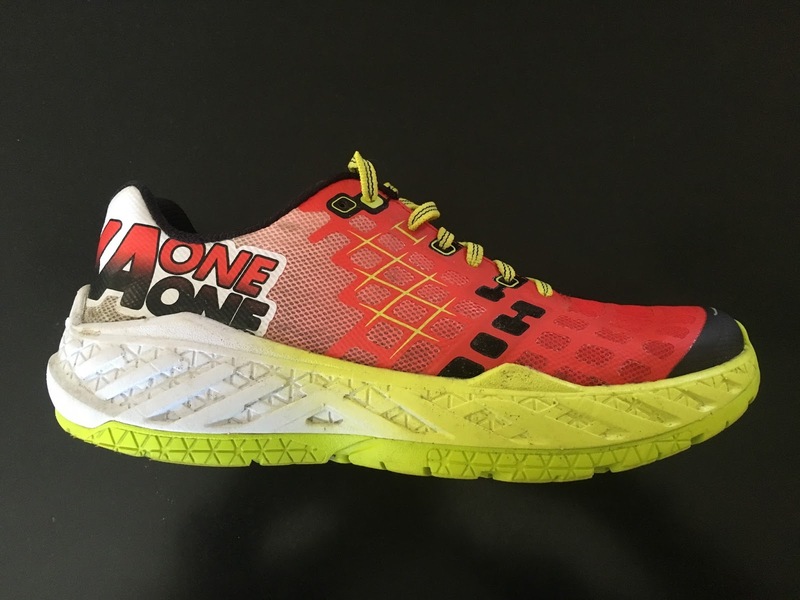 We include the lighter full race Zoom Streak as it shares the stiff plate shank concept with the Cloud. 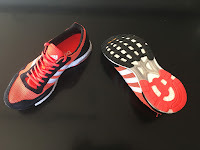 The Cloud is considerably more flexible and less torsionally rigid with a broader heel landing area and thus a more practical race and training shoe for mere mortals. 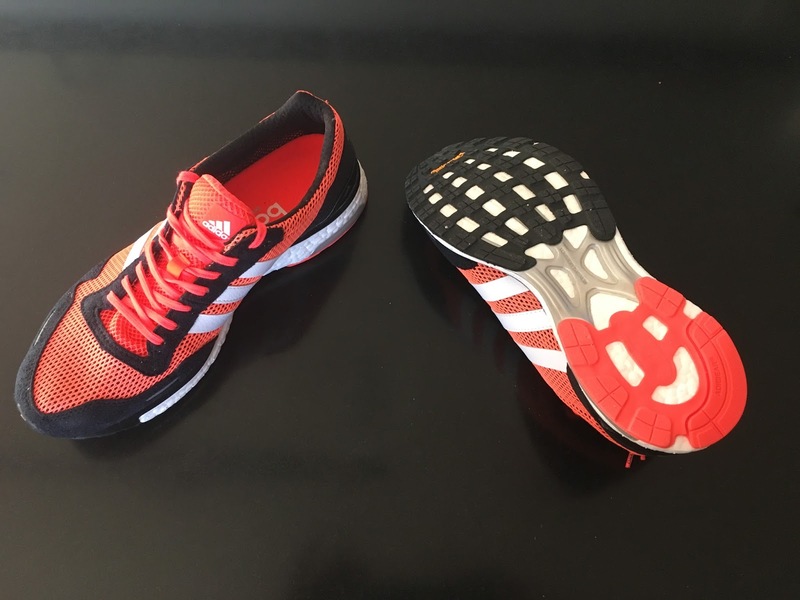 At 7.4 oz The Cloud is a light shoe and with the firm Speedboard runs as an up tempo shoe 10K up to half race shoe for me. The slow speed ride is also just fine if a bit firm for a daily trainer, if you like a distinctly sensory but in no way harsh road feel. I don't feel the vibration shock that one often experiences in lighter, firmer near race shoes. 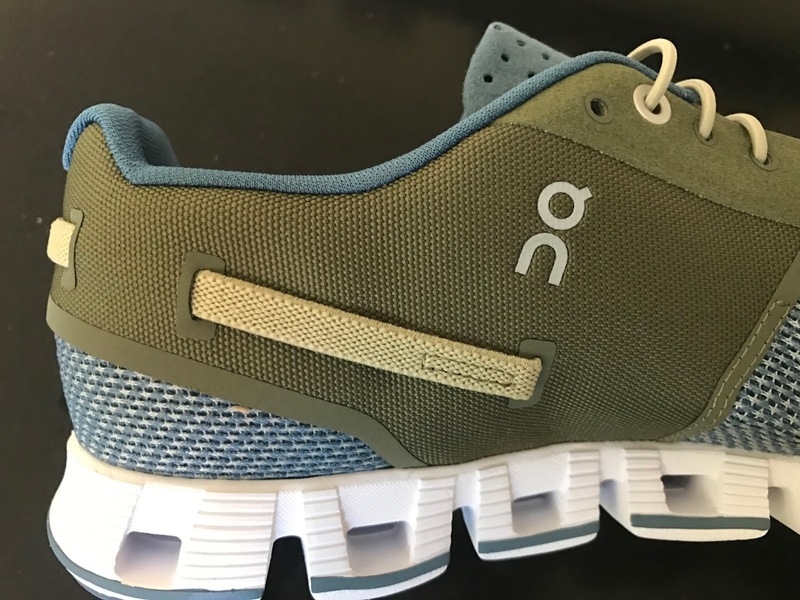 This said despite the firmer ride I have found that my legs aren't beat up after moderate distances runs at any pace, a tribute to the effectiveness of the CloudTec Elements shock absorbing qualities. The distinctive upper is comfortable and the bungie lacing works as intended reducing pressure over the top of the foot even when pulled tight. I wish ON included a sliding lock of some kind instead of having to knot and a way to "hide" the excess although one can also cut the cord to a shorter length. The lifestyle look and ability to easily bungie them looser is a big bonus. The Cloud can also be a great travel shoe or the pair one slips into the bag for business travel runs and after work purposes. -0.15 for a touch more softness where foot meets Speedboard under sock liner. Sam is the Editor and Founder of Road Trail Run. A runner for over 45 years, Sam has a marathon PR of 2:28, is a (relatively) frequent Boston Marathon qualifier and in the day was a top finisher in mountain races in Europe when he lived there, always stronger on the uphill than the downhills. His wife and two grown children are also avid runners, nordic skiers, and hikers but think Sam is "crazy" for still running races, and hard. Always a run shoe and everything else geek, Sam is also the Wearable Tech and Music columnist for Competitor Magazine. Hi, how do these compare to the Hoka Tracer and Asics Hyperspeed 7?